A majority of Santa Rosa residents, about 75 percent, want existing Navarre Beach public access areas to be preserved, per a recent CFJG poll conducted by The Political Matrix. In a study of 386 likely voters in Santa Rosa County, the poll discussed a bill to convert beach leases to title. The proposed measure, currently being renegotiated in Congress, originally preserved existing Escambia public access, but not Santa Rosa’s. The bill stalled over the question of beach access and other community concerns. 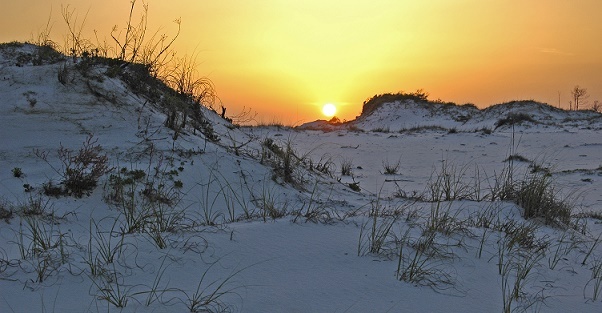 In the study, we found about 80 percent of poll respondents said if the bill is changed to include Santa Rosa beach land, it should preserve all existing public access. Those results were relatively evenly distributed throughout the county, as well as by gender, age and political party affiliation. Also notable, we found that over twice as many respondents oppose leaving public access decisions up to county commissioners. About 54 percent said commissioners shouldn’t have that authority. About 22 percent said they should, and 22 percent were undecided. Respondents were least likely to want commissioners to control beach access in District 1 (Sam Parker) and District 4 (Rob Williamson). Answers were about evenly split (41.2 percent “yes” to 40.2 percent “no”) on the question of a boat pass between the Sound and the Gulf. Another 18.7 percent were undecided about a pass. METHODOLOGY: The Political Matrix used Interactive Voice Response (IVR) polling of likely voters in Santa Rosa county. With this method of polling, the responder is asked to press a numerical digit on their phone to register a corresponding response for the study. In this study, 4,105 randomized voters who have voted in at least 3 of the 4 past elections were called. The call lists came from the Santa Rosa Supervisor of Elections. In order to compile 386 completed studies, 9,201 calls were created. The full report contains cross-tabs for age, county commission districts, and gender. The Margin of Error (MOE) for this study is +/- 4.5%. As a loyal American citizen, I'm brought to tears by the recent 'new low' this campaign/election season has taken. It's not limited to the Presidential campaign. This 'new low' has been pervasive nationwide at the federal, state and local levels for some time.